Michigan and Canadian leaders, including Canada’s Prime Minister Justin Trudeau, were in Windsor Friday to celebrate the start of construction on the new Gordie Howe International Bridge. 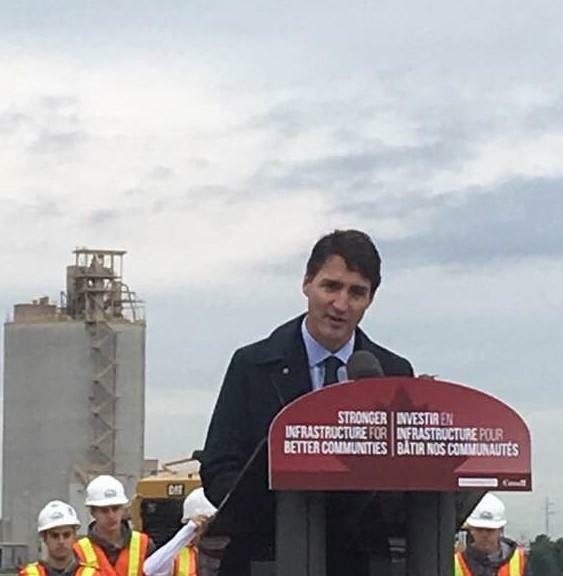 Canadian Prime Minister Justin Trudeau celebrates the launch of construction for the Gordie Howe International Bridge. Trudeau said that’s especially true after this week, when Canada, the U.S. and Mexico tentatively reached a revised free-trade agreement to replace NAFTA, now called USMCA. “I’m confident that integrated, two-way trade between Windsor and Detroit will only increase from here, which is a great thing for local communities and the national economy,” Trudeau said. When asked about any potential hold-ups related to ongoing opposition from the owners of the competing Ambassador Bridge, Trudeau downplayed the possibility. “Quite frankly, we were talking with the governor [Snyder] about the possibilities of actually accelerating the timelines for this bridge, and that’s very much how we’re focused on getting this done. As quickly as we can,” Trudeau said. The current timeline calls for the bridge to open to traffic in late 2024. Trudeau thanked Snyder, a longtime ardent supporter of the bridge project, for his support. Snyder went around the state legislature to make a bridge deal with Canada in 2012. Snyder, in turn, thanked the Canadian government for paying for the bridge project “at a time when we didn’t have the resources to do a project like this.” Michigan will jointly own the bridge with Canada. 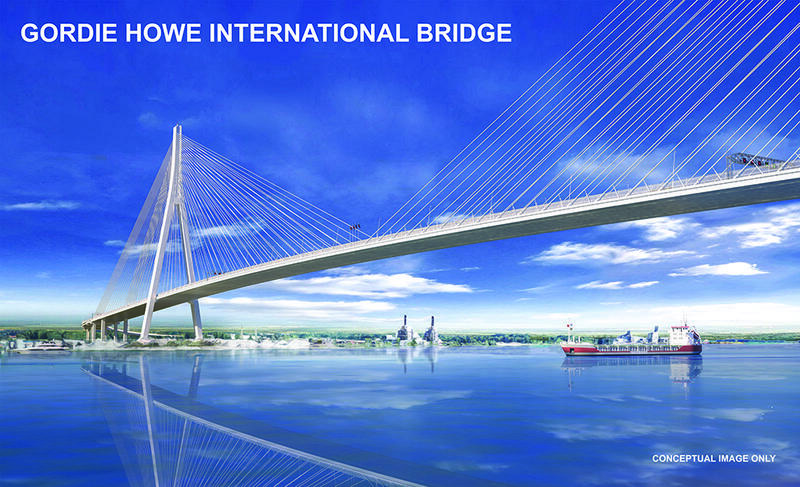 Construction on the Gordie Howe International Bridge will get underway as soon as next week, as Canadian officials have reached a final deal with the private contractor that will build and operate the bridge.